Home > Full Length > a.k.a. 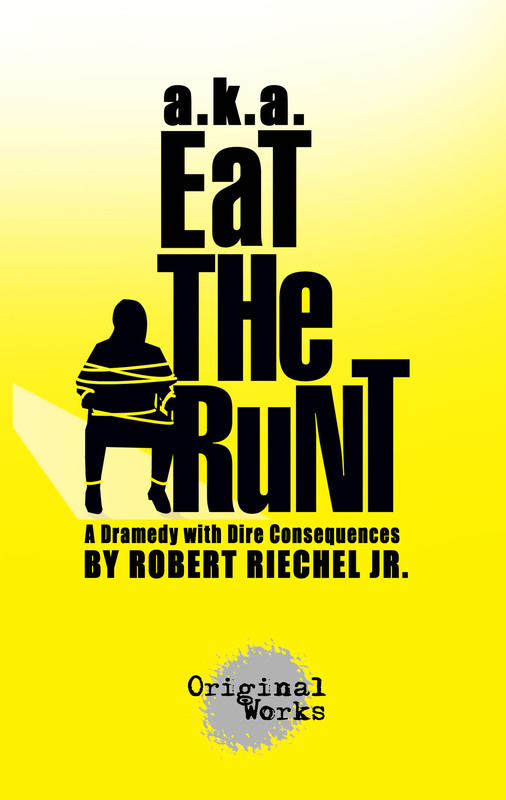 EAT THE RUNT by Robert Riechel Jr.
Synopsis: Buck Lone is a hack playwright with a penchant for Samuel Beckett, cocaine, and his unstable, artist groupie girlfriend, Hammer. When his latest "masterwork" gets lambasted by "The Man", theater critic for the local Fresno Bee newspaper, Buck sees his dream of theatre immortality going down the drain. Someone is going to pay! The only good critic is a dead one, and Buck, with Hammer in lockstep, does what any brilliant mind would do, he kidnaps "The Man." Unfortunately, this critic has a nefarious agenda all his own. Gritty, raw, and hysterical; "a.k.a. Eat The Runt" is a powerful character study about three people with nowhere to go but down, and the ego driven deeds that bring them to their knees.